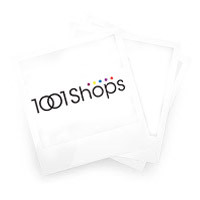 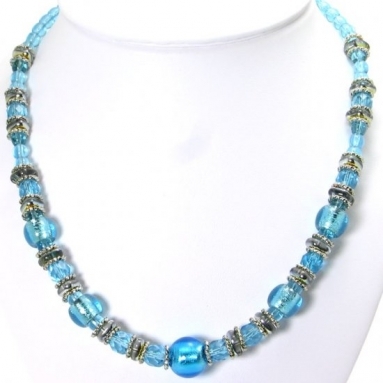 Murano Glass Necklace Aqua - Murano Glass Jewelry - Murano Glass Gifts Co. The light blue beads of this Murano glass necklace emit an aura of innocence and delicacy. 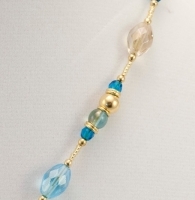 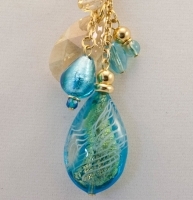 The blue transparent beads are dainty and graceful. 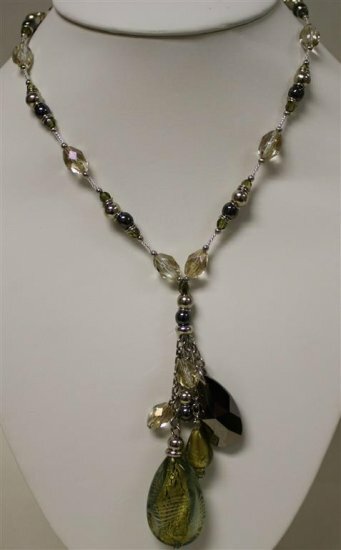 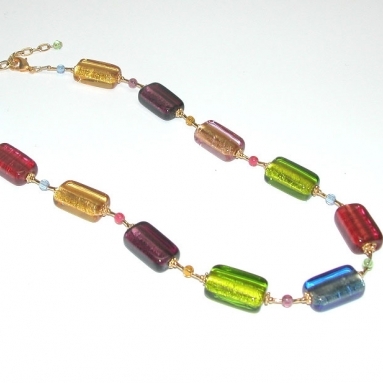 While the cut surfaces of the beads reflect light charmingly, the flat beads display a set of fluid designs in their depth. 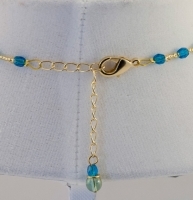 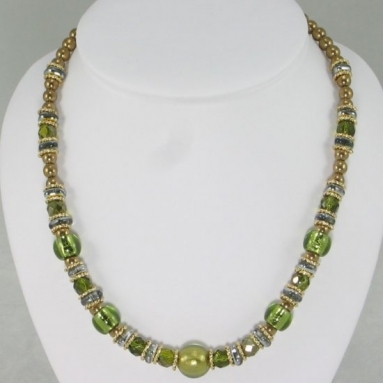 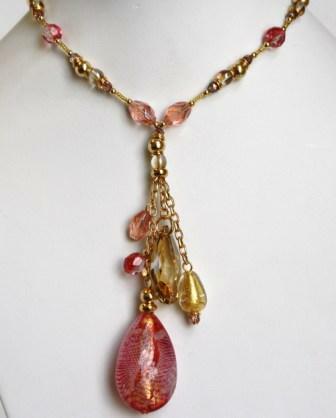 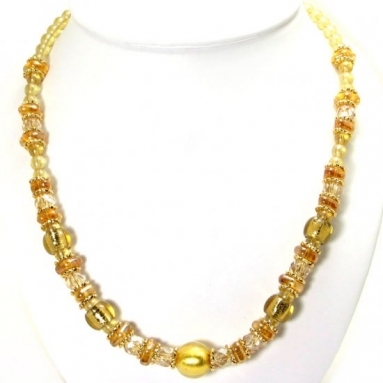 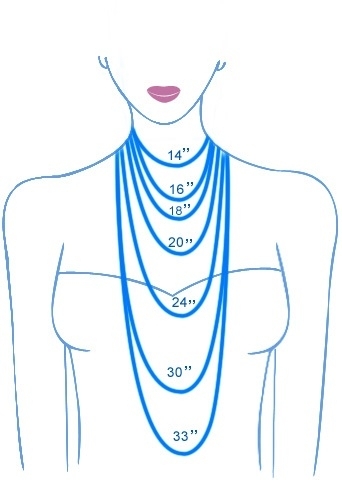 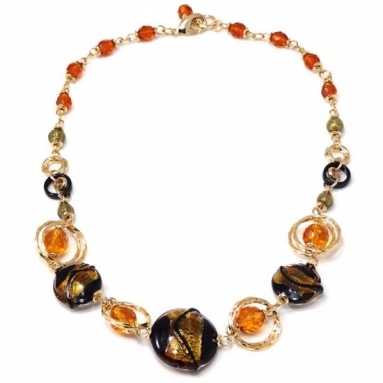 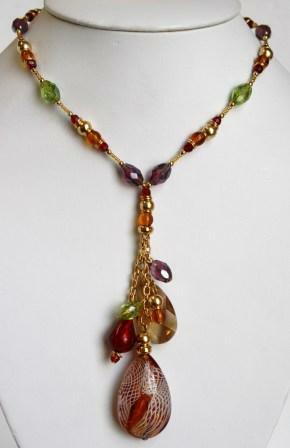 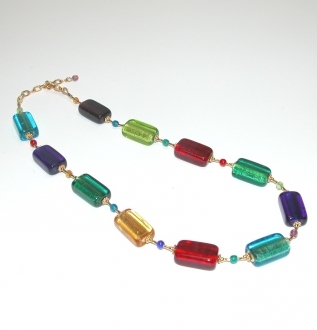 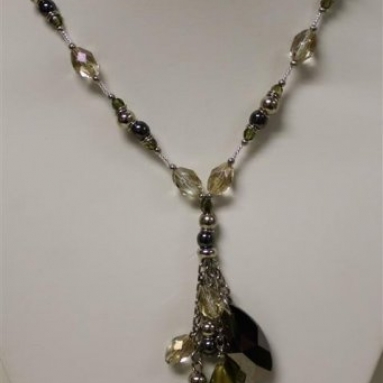 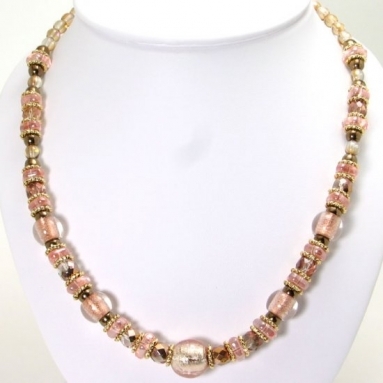 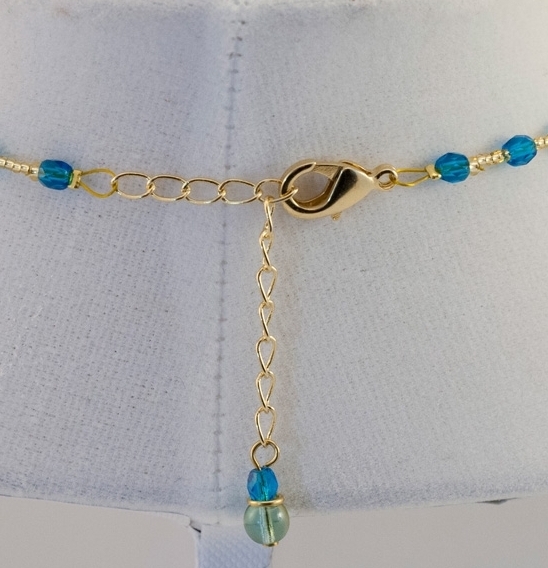 The gold links that connect the beads and the gold frames around some of them add a graceful richness to the necklace.